First, let’s get down to SEO definition. SEO or Search Engine Optimization can be referred to as “The process of optimizing your pages to give them high-ranking placement in the search results page of a search engine (SERP) - including Google, Bing, Yahoo and other search engines”. (Src: Joomla Glossary). To use Inbuilt Joomla SEO settings feature, in your Joomla admin back-end, navigate through System >> Global Configuration. 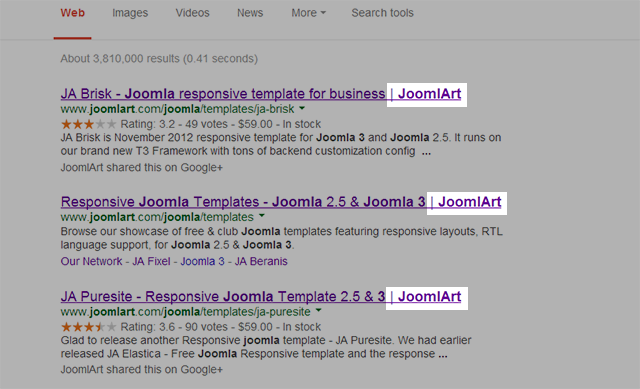 Joomla's auto-generated URLs tend to be lengthy and difficult to interpret by humans and search engine bots. The default setting is “No”. If this Global Configuration option is set to “yes”, the URL is modified into a shorter and more meaningful form. When this setting is enabled, Joomla will use the mod_rewrite function of Apache web servers to remove the index.php from the URL. This setting only takes effect if your set Search Engine Friendly URLs to Yes. For Apache users: Rename htaccess.txt to .htaccess before activating. For IIS 7 users: Rename web.config.txt to web.config and install IIS URL Rewrite Module before activating. The default setting is “No”. When set to “Yes”, Joomla will add .html to the end of the most site URLs thus simulating static file-based web content. NO: when saving the article the alias is converted to a timestamp. YES: when saving the article the non-latin characters are preserved. 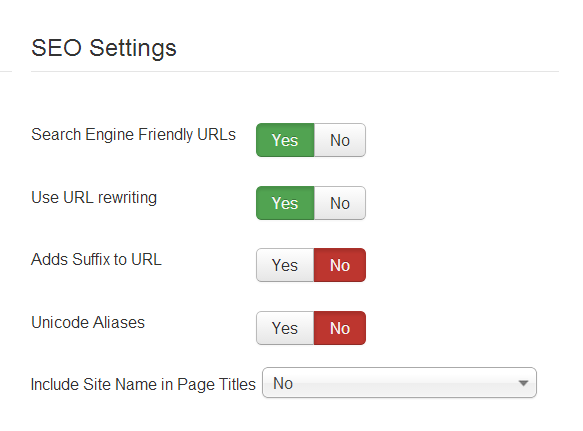 This setting allows you to determine whether or not to include your Site Name in your site's title. Appends the site name to page titles in the title tag of each web page header. The feature will include the site name text before or after the page title according to available option. Building an impressive online identity on the Internet is not enough to get your business survive and thrive in the age of information technology. You need to present it for the whole world to see. One effective way to reach out to your potential customers is by getting your website high ranked on popular search engines where practically everything is searched for. That is when SEO comes to the plate. SEO is powerful, yet takes time. The result may not be seen rightaway and it requires continual effort to maintain rankings in search engines as their algorithm change frequently. SEO is important, yet usability and compelling content in a website can not be neglected when you need to get your site more engaging to achieve high conversion. You may find some useful Joomla extensions for Joomla SEO in Joomla! Extension Directory. sh404SEF would be a good choice as it provides analytics manager along with URL manager feature.